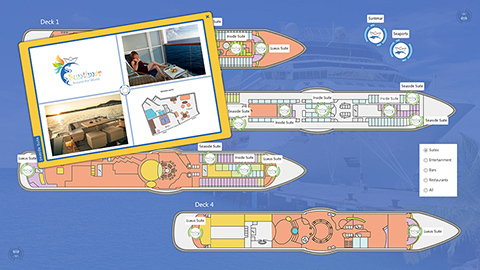 Interactive digital signage touchscreen software for Cruise Ships & Travel. Amaze guests with innovative infotainment. 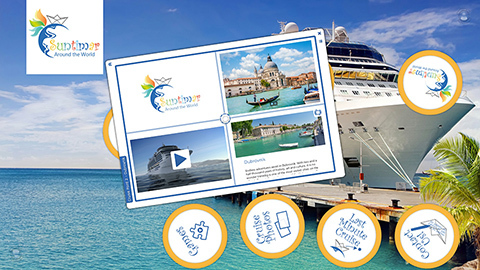 Innovative software with individual content, media and designs for cruise ships, travel and tourism. Help guests find the most important locations and points of interest with an interactive map. 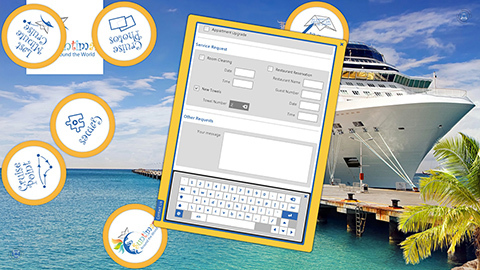 Guests can submit individual orders or feedback via an interactive form. 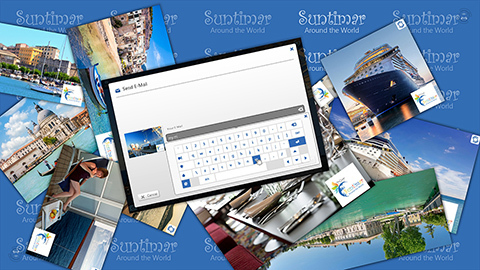 Let customers sort, print or email their vacation photos. 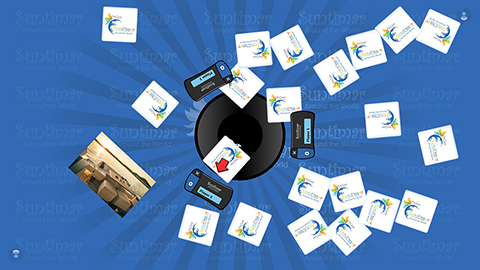 Present customers special offers through interactive images, videos or PDF brochures. Entertain customers with multitouch games like an interactive memory in your corporate design.